Ever since I can remember, I've used a planner. 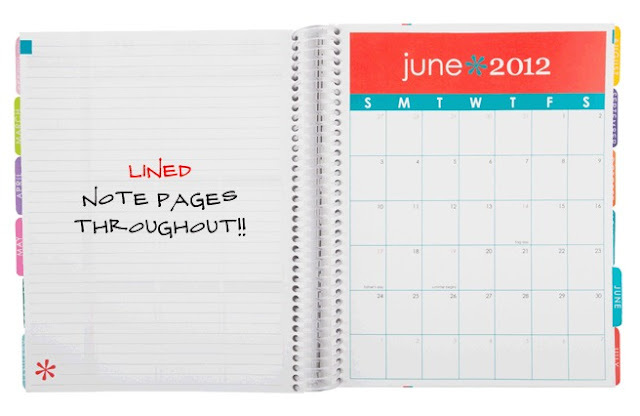 Back in middle school and high school, we called them agenda books. In college, my planner was chock full with party study dates, classes and homework. Even in law school, I kept all my school information organized in a planner. These days, I've upgraded to Outlook on my computer to calendar all of my work appointments, hearings and meetings. But I still like to keep my personal information written down the old-fashioned way. Enter Erin Condren. This year I received an Erin Condren planner in my stocking and wow, am I impressed. 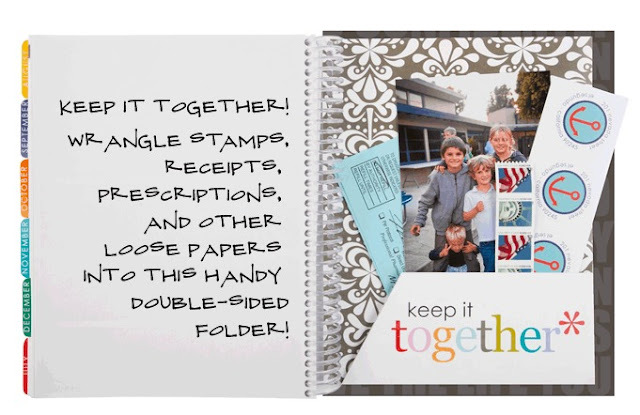 You can customize the cover of your planner with your name, your color choice and even photos. I got this exact same chevron cover except in a bold, punchy red. I love it! 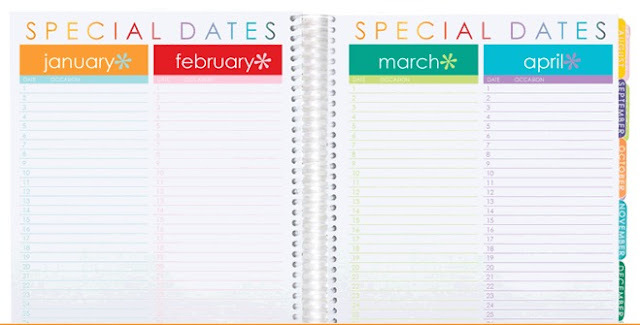 The beginning of the planner has all of the awesome spots for special dates, monthly at-a-glance calendars, note taking etc. It's an easy way to get a good big picture idea of your month. The design of the planner is absolutely perfect for me. I love that it has a "morning," "day" and "night" section so that I can organize my to-do lists and appointments throughout the day. Perfection! 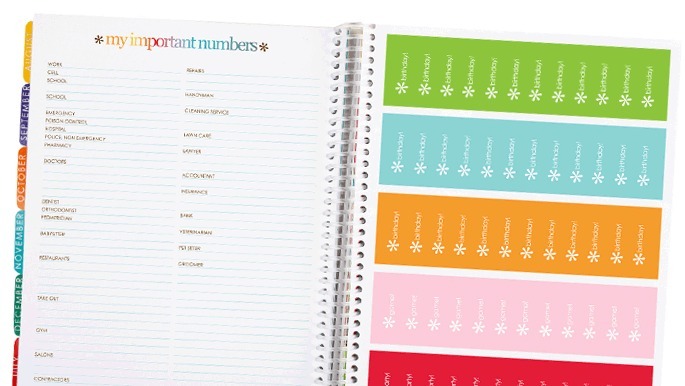 This bad boy even has stickers... it's easy to mark and remember important events this way! Oh and don't forget the pocket + zipper pouch in the back of the planner to hold your random assortment of items... coupons, stamps, pictures... it all fits! My only complaint is that the planner is a little hefty in size + weight. But if you're unlike me and don't obsessively carry your planner with you everywhere you go, that might not be a problem. Oh and I absolutely love the little tabs marking each month, but mine have already gotten completely bent and ruined. Again, probably my fault for carrying the planner everywhere I go (what if you need to know when your next dentist appointment is while you're out a bar? I mean, seriously). Needless to say, those are small potatoes. I will definitely be ordering a 2013 planner from them as well. I love it! So there you have it, my 2012 planner from Erin Condren. Check out all of their calendars here and the rest of the products in the shop! *Pssst! I have no affiliation with Erin Condren. I simply adore their product and thought I'd share! I use this planner too! It has been great!! I have one as well and I love it. Just wanted to suggest something for the tabs. I used heavy, clear packing tape around each of the tabs and it definitely has helped alot. Just cut them to size and they have the laminated look. I got one too!! I'm literally obsessed. It was a bit heavier then I wanted, but I don't care. It's perfect. Great idea! I use Outlook for work too, but got out of the habit of using a planner for my personal life. I've definitely felt the need for it lately, so maybe I'll pick one of these up! Maybe I need a planner -I'm forever forgetting appointments!!! This one is so cute! Such a cute planner!! Love all the ways to organize! I think her planners are adorable, and love that she has so many different design options. It was out of my price range, but I'd like to get one maybe next year. Oh how I love planners. How cute is this one?! I adore the colors. I have an Erin Condren planner & I LOVE IT! I recommend it to everyone! it's so bright and cheery! love it! I love my planner. A lot of our plans are last minute nowadays but I try to keep it all written down as best I can. It helps me feel more in control. What an incredibly bright and fun planner!! 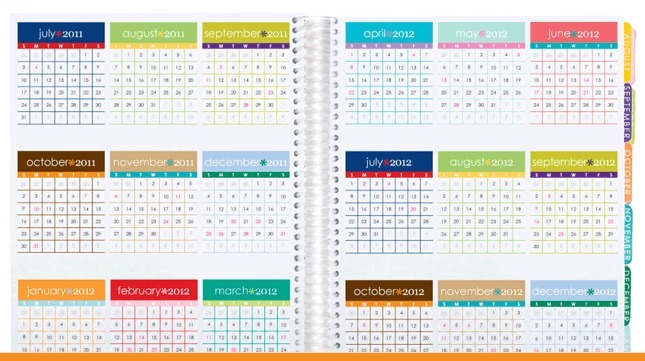 I like the idea of keeping a planner for personal use. I use Google Calendar so I can access it on my phone, but it's tough for to do lists. You definitely have me intrigued. Love this! I love my Erin Condren planner, I bought my first one this Fall and am so impressed with all of her stuff! Thanks for sharing! I love the morning, day and night section! Haha. I have always love love loved planners. This might just be the closest to perfect I have found. I love the selection for the covers. So many choices! I totally miss keeping a written planner, but like you all of my work appointments are in Outlook and I would be a mess trying to keep track of multiple planners. But these look great! Ahh too funny, I just sent the link to the same exact planner to my husband yesterday and told him I wanted one for Valentine's Day! I too started using a planner in middle school and with baby appointments, blog scheduling, and life coming up, I need something a little more hefty than the little Target one I've used for about 3 years.